Peranakan tiles framing the windows of a shophouse in Koon Seng Road, Singapore. Photo credits to Flickr. Heritage shophouses - delightful, historical and full of old world charm. These are some of the most iconic buildings in modern Singapore and one only has to walk along these conserved historical homes to experience a good dose of nostalgia. Many of these shophouses belonged to the Peranakan community and one of the distinctive features of the Peranakan-owned shophouses are the ornately designed tiles that adorn the buildings, known also as Peranakan tiles. 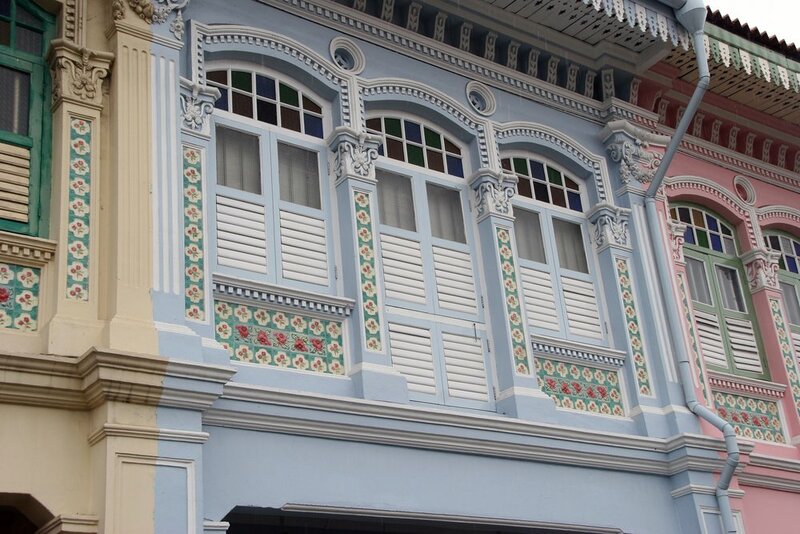 The story of the Peranakan tile began back in the early 1900s. These ornamental pieces found their way to our shores thanks to the British and found favour in particular with the local Peranakan community, who regarded them as an emblem of wealth and affluence. With its intricacy and artistic detail, it is not hard to see why these tiles became a requisite of the Peranakan decorative repertoire. While these tiles are something to be fascinated by, little else is known about their origins and story. Today we scratch the surface to bring you the finer details of these charming, sentimental decor. Across the world, these colourful ceramic tiles are known as majolica tiles and were first produced in Britain, Germany, and Belgium. The Peranakans in Malacca and Penang in Malaysia, and Singapore took a liking for them in the earlier part of the 20th century. This resulted in the tiles becoming a distinct feature of the Peranakan community, and thereafter known as Peranakan tiles. Primarily used as a decorative adornment in Peranakan homes, they were popularly placed as artistic panels in porches, hallways, courtyards and even washstands. While the tile motifs we see today are mostly geometric in shape, the original tiles first depicted oriental motifs such as fruits, flowers, fish, birds and other auspicious creatures. The original Peranakan tiles are made from ceramic and expertly carved, coloured and glazed for durability. This is however not the case today. The motifs are now machine printed, though ceramic is still used as the base of the tile. In 1970s and 1980s Singapore, pre-war shophouses were demolished to make way for urban development. Many of the tiles found in these buildings were sadly thrown out, but thanks to passionate individuals like Victor Lim, a number of them were saved, restored and preserved. 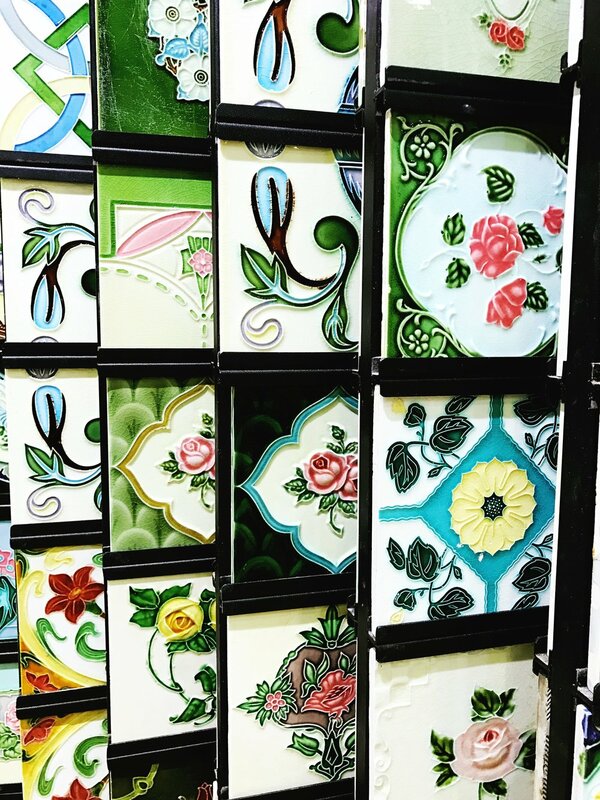 Today The Peranakan Tile Gallery in Telok Ayer Street houses an impressive collection of vintage Peranakan tiles, with some available for sale. Open daily from 11am to 7pm, the gallery is the only place in Singapore where one can learn in detail the history of Peranakan Tiles. We at Choo Yilin envision creating jewellery that serves for more than just being aesthetically beautiful. Fashioned with contemporary jade as the centrepiece of the collection, the Peranakan collection jewellery pieces are altogether light, graceful and sophisticated — thus versatile for women everyday, everywhere.